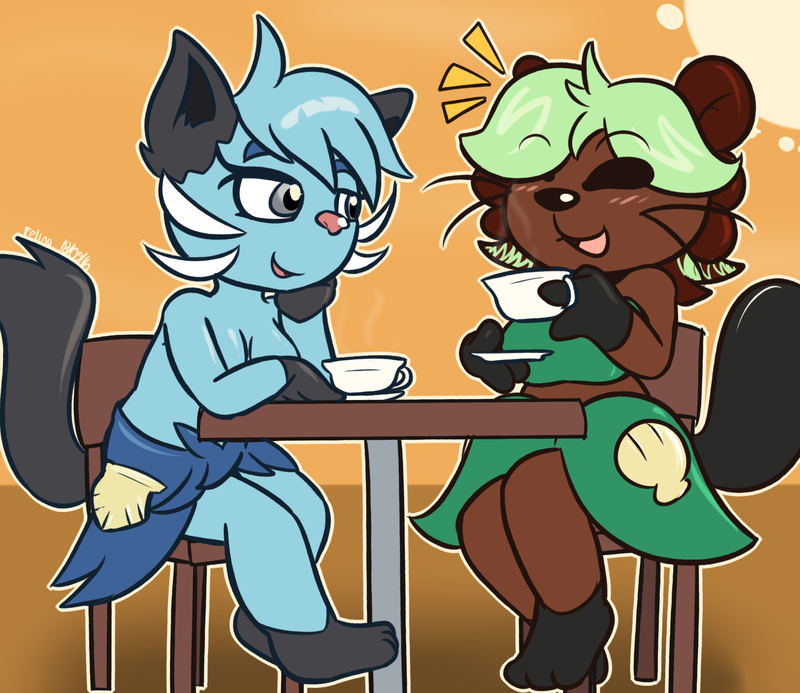 Mei-lin making a new dewott friend over a nice cup of tea. She finds it refreshing to meet another dewott (or pokemon in general) who isn't focused on trying to get in her pants. She's devoted to her trainer. Hope this keeps up. Mei-lin's been to a lot of places around the world, so she's had the chance to learn so much compared to the average pokemon. Also helps to have a powerful meowstic as a romantic rival/best friend. It's always nice making a friend and sharing interests, even if it starts in the species!